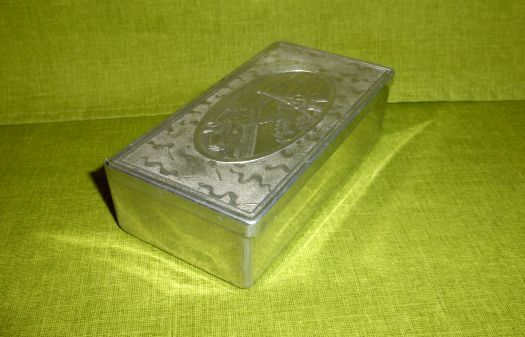 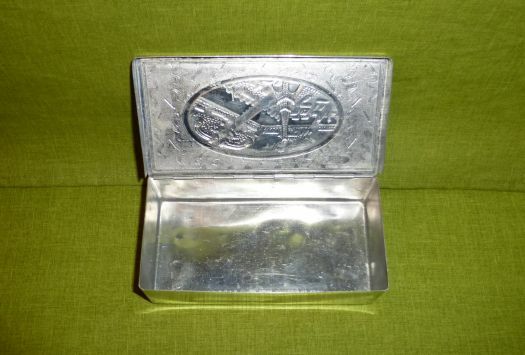 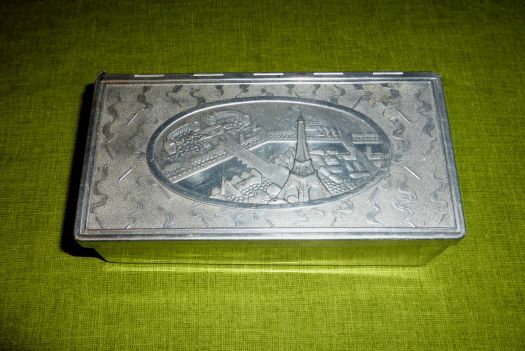 Old box for cigarettes, in aluminium, made for Exposition Universelle in Paris in 1937. 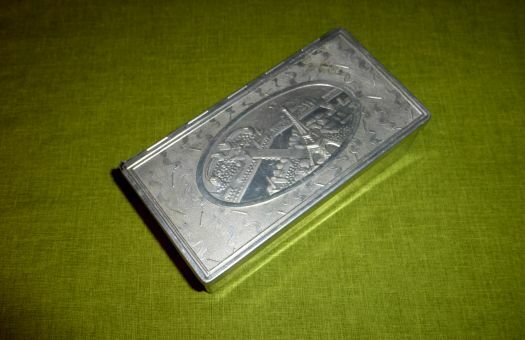 Great condition for its age, probably not often used. 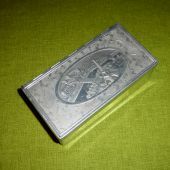 14,5 cm x 7,5 cm ; height 4 cm.